State Department spokeswoman condemns the "hateful remarks" against Israel posted by Iran's Supreme Leader. The United States condemned on Monday what it said were the “hateful remarks” against Israel made on Twitter by Iran’s Supreme Leader, Ayatollah Ali Khamenei. In a series of remarks posted to Twitter on Saturday, Khamenei said that the only “cure” for Israel is its annihilation. 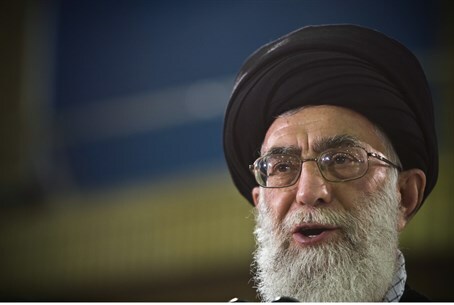 Khamenei followed these remarks with a “nine-point plan” on how Israel should be annihilated. “We strongly condemn the hateful remarks made about Israel on Twitter from an account linked to the supreme leader,” State Department spokeswoman Jen Psaki said at a press briefing when asked about Twitter tirade. “The remarks are offensive and reprehensible, and the entire international community should condemn such rhetoric. This rhetoric is, unfortunately, not new, but it’s not conducive to regional security either. Last month, the Iranian leader accused Israel of having "no limit or boundaries regarding viciousness, cruelty, and trampling underfoot all human standards and ethnics. Crimes, genocide, mass destruction, the killing of children, women and the homeless...they take pride in." Earlier on Monday, Prime Minister Binyamin Netanyahu issued a statement in which he said that he relayed Khamenei’s tweets to the P5+1 foreign ministers. “There is no moderation in Iran. It is unrepentant, unreformed, it calls for Israel’s eradication, it promotes international terrorism, and as the IAEA report just said, it continues to deceive the international community about its nuclear weapons program,” said Netanyahu. “This terrorist regime in Iran must not be allowed to become a nuclear threshold power. And I call on the P5+1 countries – don’t rush into a deal that would let Iran rush to the bomb,” he added.